Two-time champion jockey Jamie Spencer has announced he will retire from racing at the end of the season. The news about Jamie Spencer's move within Qatar Racing follows days of speculation that a change of riding arrangements at the rapidly-growing operation was afoot. Spencer is only 34, quite young for a Flat jockey to be calling it a day, but he's been around for a long time, riding his first Classic winner at 17. Punters never quite knew whether to love him or hate him. On the one hand, he won plenty of races, but on the other there were plenty of near-misses when his 'hold-up' tactics came in for criticism. It is said that rising star Andrea Atzeni is likely to replace Spencer. The 34-year-old will step down as a retained rider at Qatar Racing Ltd to take up a new position with the stables. Working closely with Sheikh Farhad Al Thani, Spencer will provide feedback and advice on their horses. Spencer rose to fame after winning the Irish 1,000 Guineas aboard Taracason in 1998, aged 17. 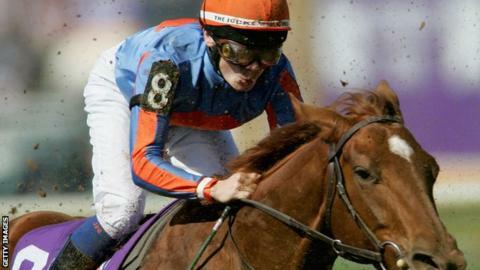 The Irishman spent the 2004 season as stable jockey for champion trainer Aiden O'Brien. In 2007, Spencer shared the British crown with Seb Sanders, in a battle which went down to the last day of the season. Speaking about the move, he said: "This has been a big decision and not one I have taken lightly. "My priority is my family, and thinking of them and their future has played a key part in my decision. "I feel I still have a lot to give to racing, and not just as a jockey."